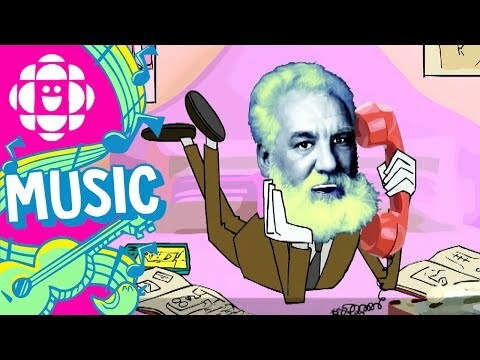 Alexander Graham Bell was an inventor who lived from 1847–1922. He invented a lot of things, but is best known for inventing the telephone. The story of the telephone begins with Alexander Graham Bell’s terrier. In 1863, Bell was 20 years old. His father and grandfather were prominent elocutionists in England, working with the deaf population, which included Bell’s mother. Sound — or lack of it — was the family business. And then, by manipulating Trouve’s jaw as he growled for treats, Bell made the dog talk. The moment — one of several bizarre episodes in the development of the telephone — was transformative for Bell and ultimately society, which is still watching his invention evolve. Around the world on Friday, scores of lined up for Apple’s new iPhone, which Steve Jobs originally dreamed up with slightly more features than Bell’s original. When Bell made Trouve talk, it showed Bell’s “determination to follow the profession of his grandfather and father,” as John Brooks wrote in “Telephone: The First Hundred Years.” And it sowed in Bell the crucial curiosity and creative instincts he would need to bring the phone to fruition. Although Bell invented the telephone, he was not an inventor. When he joined the faculty of Boston University in 1874, Bell’s title was “professor of the mechanism of speech.” He taught in the School of Oratory. He wasn’t good with numbers or calculations. Bell’s specialty was “Visible Speech,” his father’s invention of using written symbols to imitate sounds. That way of thinking drew scorn from the deaf community, which chafed at his view that being deaf was a handicap and curse. Bell married a deaf woman and was driven to find, as he saw it, ways to help the deaf integrate better in society. Scott’s contraption funneled sound waves through a hornlike apparatus that ended with a membrane of parchment. Sound waves would trigger vibrations in the parchment, which would then be transmitted to a stylus made of pig’s bristle. The stylus would etch out the waves on a page darkened by the carbon of lampblack. He called his invention the “phonautograph”: the self-writing of sound. Then comes the mistake (of sorts). It’s hard to blame the guy, though. Back then, people thought sound traveled through the air via magic. In the mid-1870s, Bell wanted to build a phonautograph, but he wanted it to approximate a human ear to test whether the sound waves could transform into recognizable symbols. The idea was that the device would help the deaf “see” the sound of words. One arrived in the mail a few days later. Now he understood how sound was received in the human ear. The next step would be to reproduce the action of the ear membrane and design an instrument to translate the vibrations into sounds. Suddenly the idea struck him that it might be possible to create an undulating electric current that could carry sound along a telegraph wire in the same way that air carried sound waves from the speaker to the hearer. The telephone receiver, pressed to a human ear, could act like an electrical mouth. Current flowing through an electromagnet would cause the receivers membrane to vibrate. The vibrations . . . would then hit the listeners eardrum, making it vibrate too. The listener’s ear would interpret these vibrations as the sounds spoken by the person at the other end of the wire. A year later, the nation’s largest cities began installing telephone service. By 1907, there were more than 6 million phones in use, according to “The Rise and Fall of American Growth,” by Robert J. Gordon. The telephone would quickly transform the world in so many ways. Bell seemed to know it. After that first phone call, he wrote a letter to his father.